Split is a beautiful Croatian city with a Mediterranean feel and 1,700 years of history to sink your teeth into. That’s all good and well… but you haven’t come all the way to Split to marvel at architectural marvels. Not unless by “architectural marvels” you mean a glistening six pack, anyway. Before I elaborate on that last point, let me point out the obvious. This blog was created as a place for me to share crazy stories from my international explorations – a journal documenting my existential struggles around the globe, with the occasional travel tip thrown in to retain some semblance of credibility. Yet somehow I have left out one of the main aspects of my travels. You see, I am a bit of a party animal. And not a passive animal, like a party sloth – although come to think of it, that’d be pretty awesome – but a very active one. A cross between a talkative parrot dipped in glitter and an excitable bunny, perhaps. But I digress.I’ve finally realised that my hedonistic adventures may be of some use to the world. “What a hero, saving humanity one party at a time,” I hear you snicker. But I’m serious! All those brain-shattering hangovers, overpriced shots and subpar DJs I’ve had to suffer through finally have a meaning – I do it all so you won’t have to! So sit back, let me sort through all that nightlife mayhem so you can visit the good and skip the bad. Or just wag your tongue disapprovingly and remind me to take better care of myself. Speaking of which – mom, please stop reading after this paragraph. Without further ado, welcome to my first ever party guide – tonight we’re painting it red in Split! Rise and shine! Well, try to anyway – waking up after a night of drinking and dancing is no easy feat, especially if you’re staying at a hostel. Which you totally should – Split has some great budget accommodations located in the heart of the city. My friend Lyna and I stayed at Adriatic Hostel, which I’d definitely recommend – it’s right in the centre, extremely close to all the party hotspots and the staff is very helpful! 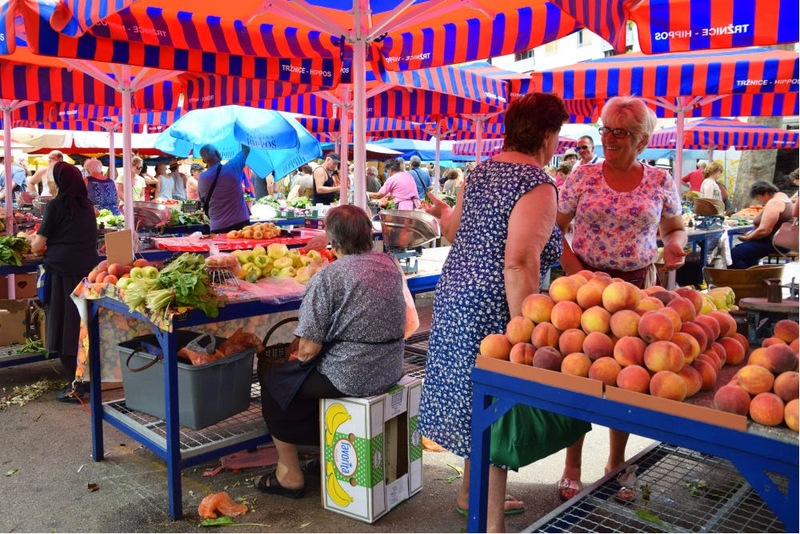 The best place to buy breakfast is the market in Stari Pazar, a charming stone-paved square just outside the old city’s gates. If you’re hungover, there’s no better cure than burek – a greasy filo pastry filled with minced meat or Croatian cheese. If your stomach can’t handle this fatty delight, you can also buy fresh fruit, local white bread (called “kruh”) and coffee. With your stomach full and hangover at least slightly numbed, you’re ready to head to Bačvice beach for some tanning and relaxing. The local beaches are crowded and not particularly pretty, but for €7 you can rent a sunbed for the whole day and the staff will bring cocktails straight to you. You can even find sandy beaches in the area, which is rare in Croatia. If you’re looking for something a little more exciting, you can also rent a kayak or a jet ski. I haven’t used their services, but Split Sea Kayaking have great reviews on TripAdvisor and offer daily kayak tours from €33.There are also many ways to incorporate culture into your day out in Split – the historic centre is full of buildings from the Roman era which was like heaven to me. If I haven’t told you this yet, I’m completely obsessed with all things pertaining to Ancient Greece and Rome and Split can hardly be rivaled on that front. From museums (I personally loved the City Museum of Split) to ancient fortresses, you’ll definitely find something that tickles your fancy. And if you don’t – you’ll definitely meet someone who does just that later on in the day. This is where I slept at the Adriatic Hostel. Around 5pm you should head back to town, shower and either head to a museum or nap. Actually, who am I kidding – nap! You’ll need the energy, trust me. Once you feel refreshed – or alive enough to leave your bed again – dust off your makeup brushes and start getting ready to part-ay. The clubbing scene in Split is unpretentious and charmingly trashy, so you don’t have to fuss over your outfit too much. There’s absolutely no need to don your uncomfortable heels, because most people just wear shorts and sandals. I decided to wear heels on my last night and did not feel overdressed – everyone seemed too relaxed to care about what other people are wearing! Having said that, it was an unnecessary pain in the behind… not to mention my poor squished toes. My advice? Dress casually. Around 7pm is the best time to grab a little something to eat – and by “little” I mean something substantial enough to get you through the night and line your stomach! 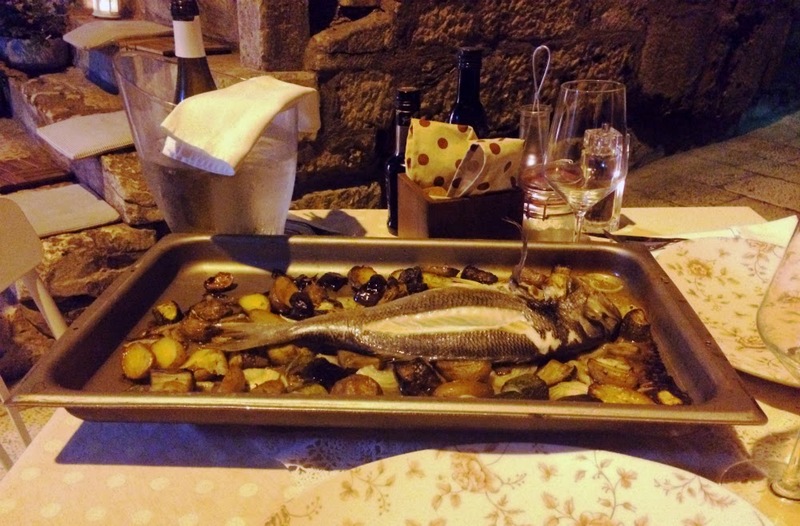 You’re in luck here – there are many reasons to travel to Croatia and the food is definitely one of them. If you’re looking to treat yourself, I recommend you head straight to Mazzgoon, a small restaurant located in a charming side street near the main square. It’s hidden enough for a romantic getaway, but central enough to get back into the thrill of it all. The place serves authentic Croatian dishes with a modern twist. I’d pay them a visit for their crispy homemade bread and lavender salt alone, but the fresh seafood is out of this world! The service was great as well – the owner came to check on Lyna and I several times and he and his wife seemed to love their job, singing and cuddling kittens. If you’re broke, you can always just grab a slice of pizza, kebap or your new best friend burek from one of the stalls sprinkled around the city – this shouldn’t set you back more than $2 and will provide a good base for a wild night out! 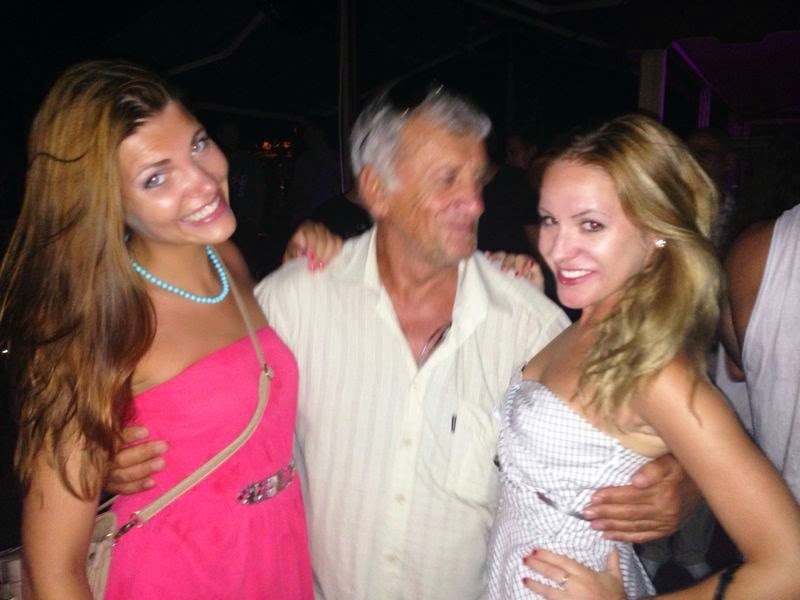 If you’re lucky, you might also get to dance with somebody’s grandpa at F-Caffe. By 9pm you should be ready to get the party started. Now, you have two options. You can either get a group together yourself, or go on the city’s infamous Tower Pub Crawl. It costs €20 which isn’t exactly free, but the price includes a 90 minute all-you-can-drink bar and a big group of party animals which made it worth the money in my eyes. If you opt for the pub crawl you’ll spend the first portion of your night getting inordinately inebriated at the open bar, so I genuinely hope you took my advice and dressed casually – as funny as it may look to others, you don’t wanna be that girl taking the crawl in pub crawl too literally. The bar is a giant window-less metal box with outdated music reminiscent of my high school parties, but you should concentrate on the important stuff here – unlimited alcohol and beer pong.The next stop – or your first stop if you’re going it alone – should be F-Caffe, a little slice of party heaven located in the heart of Split’s Riva harbour. They have live DJs, giant robot-men dispensing shots and sparkly go-go dancers so it’s easy to get into the party spirit(s). The drinks are slightly overpriced, but if you’re comfortable with letting go of your feminist values for an evening and allowing one of the many eager gentlemen in the club to buy you a drink that will hardly matter.If there is one thing in excess here, it’s young foreigners looking to have a good time. So if you’re single and ready to mingle… expect loads of mingling. However, I didn’t feel like the men were sharking – everyone was as respectful as a tipsy party animal on holiday can get. Overall, the atmosphere was fantastic and it was really easy to meet people and make friends. Despite the deafening noise from the speakers, the place seemed… quiet. Everyone was just standing around, talking but not talking. For a moment I pondered whether someone had slipped me a hallucinogen but then I understood. The people were communicating in sign language! Apparently there was a large conference for deaf people from all over the world and they were all ready to party. After chatting with a few friendly strangers by typing words into their iPhones – in German no less – I was positive that this was one of the coolest parties I’ve ever been to! We had fun, drank shots, flirted and danced like crazy – the only surreal thing about hanging out with all these people was how completely normal it all was! People can be a little prejudiced when it comes to socialising with people who are different than them, but in my experience those who’ve had to overcome these challenges are some of the most interesting individuals you’ll ever meet. Who knows who you may party with in Bačvice! Once you’re all partied out, stumble home and reflect on what a fun night you’ve just had. Then jump into bed and rest – tomorrow you’ll want to do it all over again. As you no doubt understood by now, I had the time of my life in Split. Relaxed and unpretentious, the Croatian city has all the makings of a seaside party heaven. I’ve never visited in low season, but wouldn’t expect the place to be half as much fun then – I’d definitely recommend visiting Split in the summer when it’s populated by young partygoers from all over the world. So pack that bag and don’t forget your party hat – Split’s waiting for you. Have you ever been to Split? Did you enjoy the parties there? Which clubs did you usually go to? I’d love to hear your thoughts and be inspired by your experiences, you crazy child! Me and my friend are doing the MedSailors yacht week this July and I AM SO EXCITED!!!! And super fun to read that you had a great time in Croatia! Interesting Split nightlife trail to have a great time in Split. I’m going to propose it on my Split hometown website! Croatia is a very beautiful and popular country of Europe. I have visited it a year ago probably just few months before my incredible tours of east coast america, Croatia is quite a nice place and worthwhile for travelers.